Eating Air and Billy Liar is a double-bill screening that is part of National Museum of Singapore's Cinémathèque Selects Programme. The films will be screened on 11 February 2017, Saturday at 2pm. 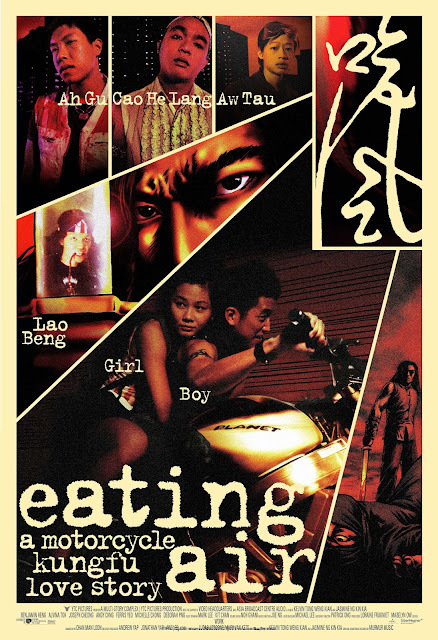 Eating Air // 吃风 is a "motorcycle kung-fu love story" directed and produced by Kelvin Tong and Jasmine Ng in Singapore's film revival decade in the 1990s. Its English title is a literal translation of the Chinese word for joyride. Shortly after the film's release, it was invited to participate in the Rotterdam International Film Festival and the Hong Kong International Film Festival. The plot revolves around the lives of a gang of teenagers who spend their time hanging out in a video arcade, riding on motorcycles and fighting with other gangs. There is a sweet love story: Ah Boy meets Ah Girl and they fall in love. Kelvin Tong sees the motorcycle as an apt metaphor for youth: noisy, fast and accident-prone. As for the kung-fu, you'll have to watch it to find out. Watching Eating Air is definitely a ride. The film uses many tools in its arsenal to make the experience unexpected and fun. For example, Boy's fantasies of himself as a kung-fu warrior often seep into real life. Beneath the film's stylish exterior is a serious look at one of the marginalized groups in society: the youth who are labelled as "delinquents" or "good-for-nothings" when the odds are already stacked against them. The frequent use of public spaces as backdrops for key moments may on one hand show that these youth feel that they belong in the public spaces they inhabit, yet being forced out into public spaces is one facet of their marginalization. The film is strangely void of adult characters and when they do appear, they are ineffectual. Actor-comedian Mark Lee is the sole adult character in the film with substantial screen time. He plays Lao Beng, an old time gangster with exaggerated tales of bravado based loosely on true events. The thin line between illusion and reality in these characters' lives, and how they use illusion to cope with reality, creates a sympathetic portrait of the teenagers even as the paths to their future become narrower and narrower throughout the film. We spoke briefly with Kelvin Tong and Jasmine Ng ahead of this screening. Eating Air is billed as “a motorcycle kung-fu love story”. Would you also describe it as a tale of disillusionment and/or a coming-of-age film? Eating Air is a coming-of-age film but we prefer to call it a motorcycle kung-fu love story. It sounds so much more fun. There are thousands of coming-of-age films out there but so far, I think there’s only one motorcycle kung-fu love story. When was the last time you watched it again? How did you feel watching it so many years later? We saw it a few months ago when NTU organised a film festival. We should be so bored of the film after all these years but we found ourselves still giggling when the CTE-tunnel-meets-photocopier opening sequence starts up. We were foolish when we shot our first film. I guess our first film still makes us feel foolish even now. Favourite part of the film? Looking back now, if you could change one part of the film, which one would it be? The musical portion of the film with clanging kopi cups, kiddie rides and fist fight. Looking back, we had so much fun shooting it we wish we had made it even longer and more ambitious. Perhaps even incorporating traffic jams on the Benjamin Sheares bridge. That would have been wild. What is the rationale for choosing Schlesinger's Billy Liar to accompany the screening of Eating Air? Billy Liar was a big inspiration for us. Billy’s habit of daydreaming and fantasising his way out of the tedium and narrow confines of his life gave us the idea for Ah Boy’s character in Eating Air. Cinémathèque Selects is a monthly double-bill screening that profiles the boldest filmmakers and most inventive productions from Singapore’s past to its present. 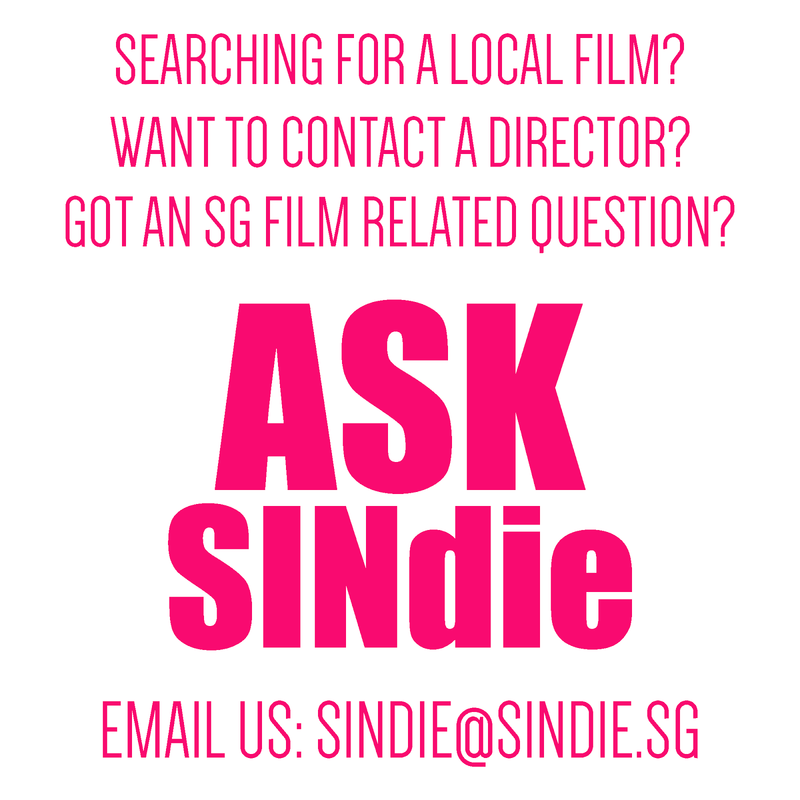 Focusing on diverse aspects of film-making, from directing to producing, script writing to cinematography and art direction, the series uncovers lesser-known local productions and features significant films in Singapore’s cinematic landscape. Each film screening is accompanied by a conversation with the filmmaker and a second film guest that has influenced the filmmaker on a personal and professional level. 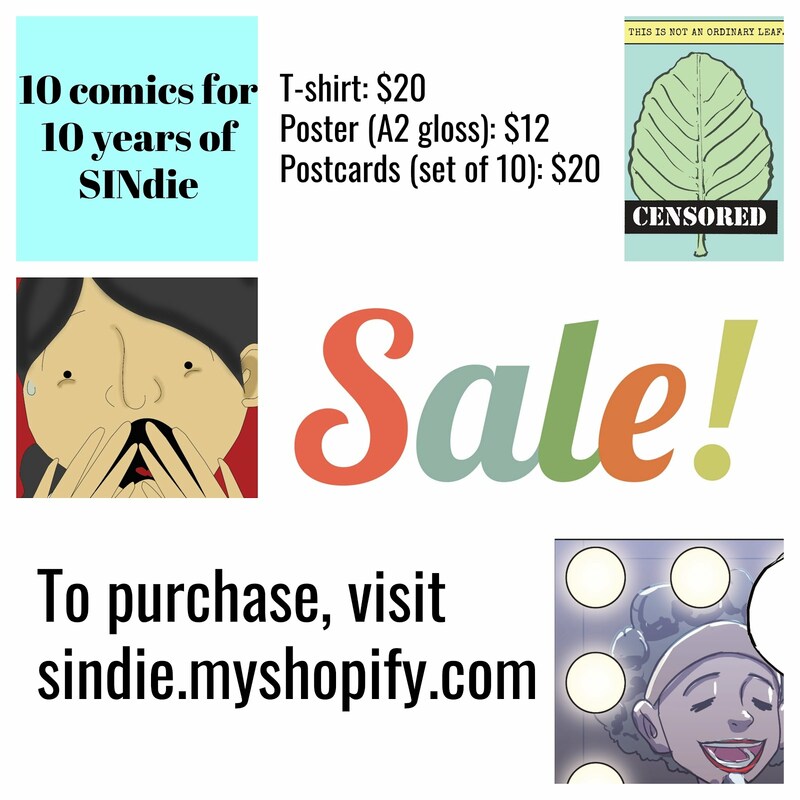 Tickets can be purchased in the following link.